Here at the Autoglass blog, we try to make sure that our readers receive all the latest and most pressing motoring tips. So, with temperatures plummeting, what better time to shift our focus to the driving in snow? Driving in snow and ice can be supremely challenging for motorists and tough conditions greatly increase the likelihood of being involved in an accident. 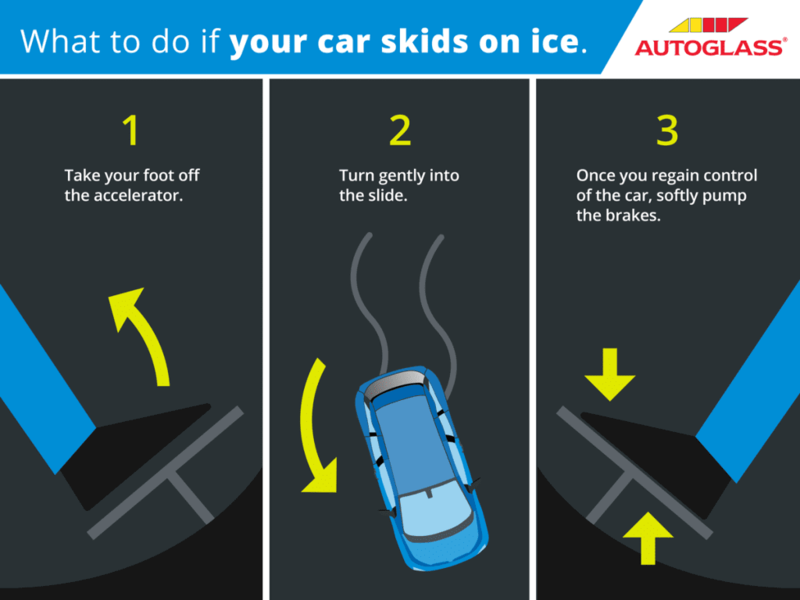 With that in mind, preparation is paramount when facing snowy and icy conditions. Settle down with a warm cuppa and take a look at this thorough guide for driving in snow. With a little forethought and awareness, you shouldn’t have anything to worry about. Before setting off on your trip, take some extra time to consider your route. Make special note of areas that might be particularly exposed to the elements or prone to flooding. If at all possible, try to avoid these more problematic areas and consider a different route. A little extra time contemplating your route can prove invaluable and, with a little luck, you may well be able to sidestep the areas most affected by the adverse weather conditions. Bridges are another danger spot as they are often the first stretches of road to freeze and the last to thaw. Be extra mindful when crossing bridges in the snow. By the same token, you should allocate extra time for your journey when you expect to be driving in snow. You’ll require more time before you set off in order to clear your car glass of frost and ice. Don’t forget to thoroughly demist the interior of your windscreen – it’s illegal to drive with anything less than full visibility. Keep in mind, your car’s tyres are the only point of contact between your vehicle and the road. The issues associated with traction control in snow are no secret. So, before you set off driving in snow, make sure your tyres are up to the task. Check all your tyres (including the spare) and replace them if the tyre tread is anywhere below 3mm in depth. Lack of traction can occur on even gritted roads so try to maintain an even pace and stick in the highest gear possible. 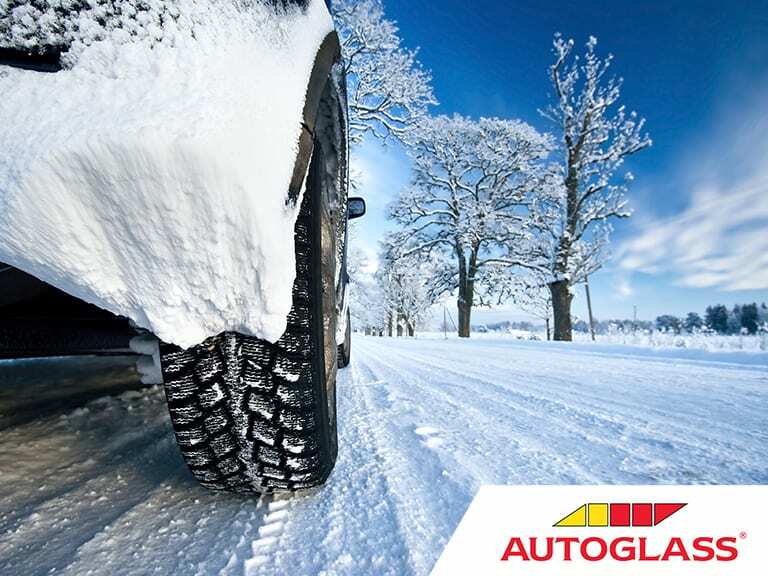 Steer gently and avoid going too heavy on the break – when you’re driving in snow, slow and steady is the way to go. Black Ice is one of the worst hazards associated with driving in snow. If the road ahead appears polished or shiny, it could be Black Ice. This nearly transparent ice can often appear as nothing more than a harmless puddle. When driving in snow and ice, stay alert for Black Ice, especially in sheltered areas, under trees and alongside high walls. When you’re approaching a bend, apply your brake before you begin to turn the steering wheel. If your car does begin to lose grip, try not to panic; the key thing is to remove your foot from accelerator and focus on making sure that your wheels are pointing in the direction you want the car to travel in. If you do enter into a skid, try to steer gently into it. In other words, if the rear of the car is sliding to the right, you should also steer the car to the right. Most importantly, do not take your hands off your steering wheel or stamp your foot on the brakes. If the worst should happen and your car enters a skid, it’s important to know if your vehicle has ABS (Anti- Lock Braking Systems) or not. If your car is equipped with ABS, once you apply pressure to your brake, the ABS begins cycling. There’s a simple method for effectively using anti-lock brakes: Step, Stay and Steer. First, Step on the pedal. Then, Stay on the pedal. Finally, Steer around the obstacle. If your car isn’t equipped with ABS, you’ll have no choice but to rely on the tried and tested “Cadence Braking” system; Firstly, Push the brake pedal until the wheels stop rolling, then immediately release the brake enough to allow the wheels to begin turning again. Repeat this sequence in quick succession. Using this method, your tyres should produce the maximum level of grip possible, considering the conditions on the road. Minor inclines – the likes of which wouldn’t bother you normally – can be major obstacles when you’re driving in extreme conditions. Prepare for an uphill by allowing plenty of room ahead so you can maintain a constant speed without the need for changing gear. Don’t power up hills, accelerating on snow-covered roads just starts your wheels spinning. Maintain your speed as you reach the hill, it should carry you to the top. As you reach the crest of the hill, reduce your speed and proceed down hill as slowly and smoothly as possible. When travelling downhill, use a low gear and try to avoid breaking (unless absolutely necessary) and make sure you leave plenty of space between yourself and the vehicle ahead. Now that we’ve covered the core concepts of how to drive in snow, here’s a few more quick tips to keep you safe on the roads. If you suspect the road might not have been gritted, be cautious of driving in the wheel tracks of other vehicles. The compressed snow found in tyre tracks is icier than freshly fallen snow. Wear comfortable and dry footwear. Maybe even keep a designated pair of driving shoes in your car. Make sure that your wiper blades are not too worn and are able to clear your windscreen from snow and ice if required. Keep some Sunglasses in your car to help with the glare of low winter sun on the snow. It’s always wise to keep a winter car breakdown kit in your car just in case. Be sure to to include; a shovel, blanket, torch, hi-visibility vest, screen wash, scraper and de-icer. Thanks for reading the Autoglass guide to driving in snow. With these tips, some preparation and a cool head – you’ll be more than ready to brave whatever the next few months throw at us. Be sure to check back with the Autoglass Blog soon, for more guides, hints, tips and explainers. Safe Driving!